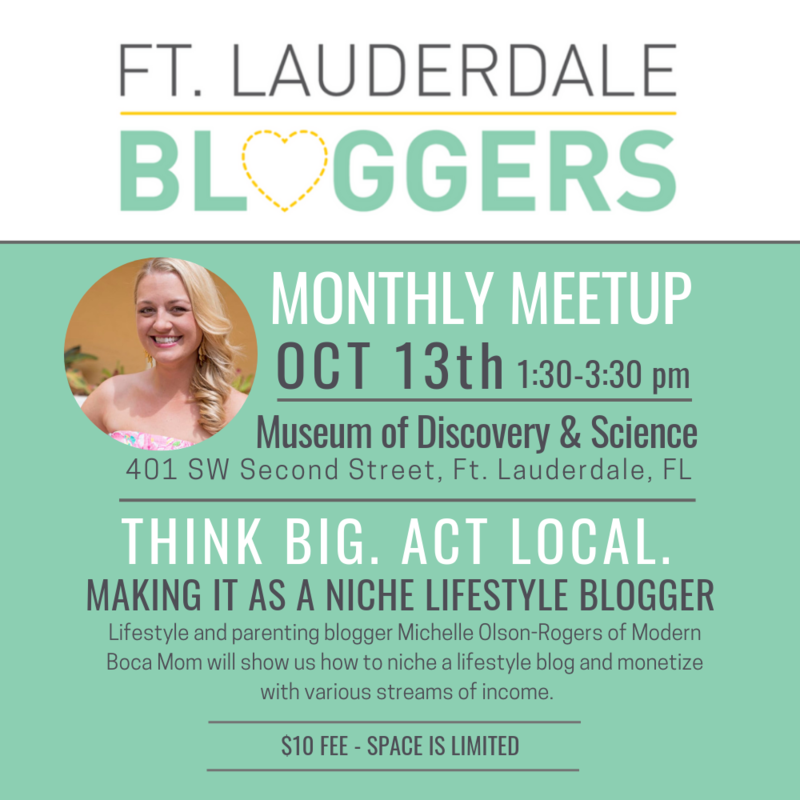 Lifestyle and parenting blogger Michelle Olson-Rogers of Modern Boca Mom will show us how to niche and monetize our lifestyle blogs with various streams of income. You’ll see the steps she’s taken to work with many local brands and businesses as well as larger sponsors, including Walt Disney World, Walmart, Godiva, Lipton, Scotties Facial Tissues, Expedia Cruises and others. The new world of blogging is all about thinking big while acting local. 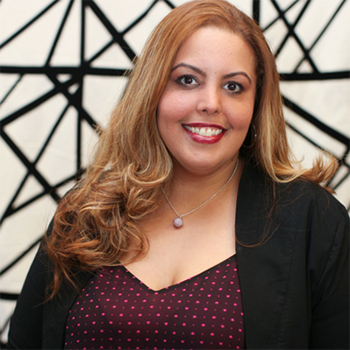 Michelle Olson-Rogers is the founder of Modern Boca Mom, a lifestyle site for the stylish & modern South Florida mommy. ModernBocaMom.com features services, businesses, events, lifestyle and travel options for the discerning South Florida parent. Michelle is also a regular contributor to Discover the Palm Beaches and Boca Raton magazine. She began her career in cosmetics marketing for nail care company Sally Hansen and went on to become an Account Director for a top boutique public relations & social media agency in New York City. During her time there, Michelle planned large scale press events and placed her clients in top media venues such as Glamour, O: The Oprah Magazine, InStyle, The View and TODAY. 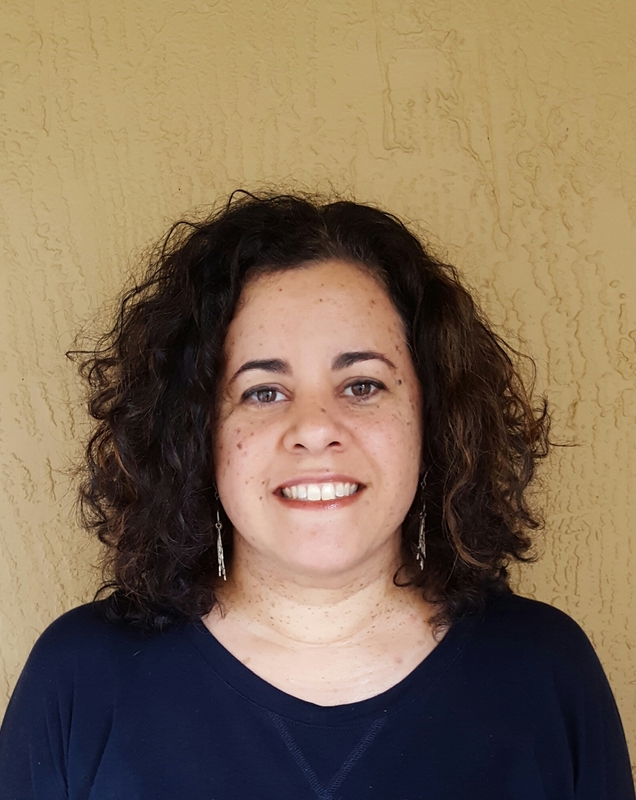 In addition to blogging, Michelle also serves as the Director of Communications and Community Outreach for Grandview Preparatory School. She has one daughter, Avery age 5, with her husband Andrew. Visit her site at ModernBocaMom.com and follow her on Instagram, Twitter, Facebook or Pinterest. Thank you to our sponsor, the Museum of Discovery & Science in Ft Lauderdale. Thank you also to our food sponsor, Fatty Cakes NY in Ft Lauderdale.